For those of you that celebrate Christmas, I hope you all had a wonderful holiday this weekend. I went home to visit my parents in Orlando, and it was nice to have a few days of relaxation and family time. This year, I tried to film a Christmas look, but for some reason it didn't save. At least I got pictures! I was saving my Senna Cosmetics Fall/Winter collection for Christmas. They have the perfect holiday colors in the look. I went for a green smokey eye with a pop of gold in the middle. Of course, I complimented it with a bright red lip. You can also wear more of a neutral lip...I actually wore this look to dinner and swapped it for a neutral lip to make it more wearable. 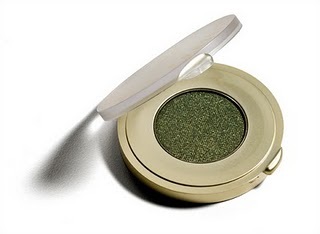 The gold-flecked green eyeshadow is from Senna. In the middle, I applied the gold from the Wet and Wild Vanity Palette. The lip is Senna's Valentina lipstick -gorgeous right? 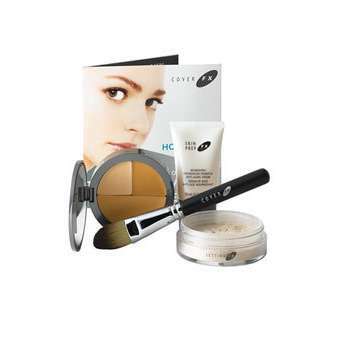 I used the Cover FX big cover kit for foundation...I just can't get over how beautifully it photographs. Review and tutorial to come! I hope you all had a great Christmas holiday. I'm excited for New Years! 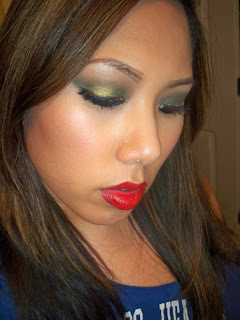 Such a pretty festive green and gold look, I'm definitely going to try to recreate this one! hi ren, i love gold and green is my hubby's fav color...bonga ang ganda mo! Gorgeous!! I would never have thought of pairing green eyes with red, but it really works here! 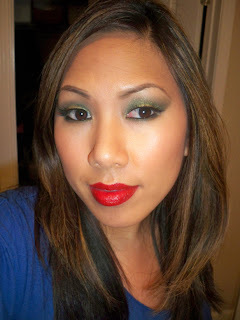 I love the blending of the eye colours, and the red lips are spot on for a holiday look!